and this is my humble site for Roman Catholic Saints, Catholic Saints, Prayer Request and information. How it started, in 2005 I was on the internet like you are now, looking for a payer site, to increase my knowledge of prayers, as its important to know who to pray to and how to pray. But I couldn’t find a web site I was trusting of , not one! It seemed most of theses sites had a sales pitch or product, not just free prayers. I wanted a catholic prayer site who firstly were Catholics and secondly cared about the prayers they give me and no sales pitches! Maybe I was naive as apparently “there’s nothing free” well on this site my friend all prayers are free yes free no sales pitches here! your safe! 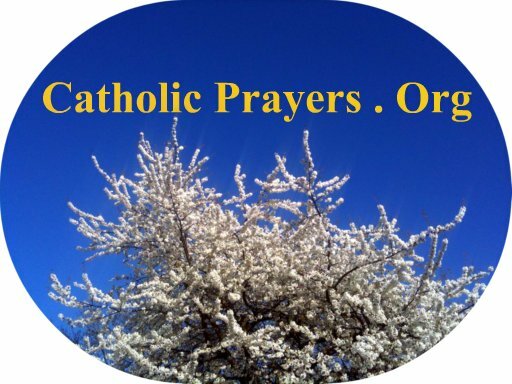 So I though I’m going to try to help other Catholics like me and you around the world, reach Catholic Prayer from a real catholic site that’s safe and who cares! And here it is, all my hard work for you, a place to pray a prayer for any place. That my own saying by the way so no laughing!!! A good place to start is how to say the rosary just to make sure your saying it right or just a little brush up! Daily prayer help you start the day like Sundays Prayer the Prayer to the Most Holy trinity. Or alittle information on say.... Saint Lucy. Jesus our Consoler “Come to me (in Prayer) all you who are weary and find life burdensome, and I will refresh you ….. Your souls Will find rest“. Take care of yourself and your family God Bless Edd. Human edited directory Religion Directory Our Catholic Prayers This collection includes both traditional and lesser-known Catholic prayers, along with background information on their history and spiritual significance, for inspiration and reflection. OR: Traditional Prayers to Inspire You! This collection includes both traditional and lesser-known Catholic prayers, along with background information on their history and spiritual significance, for inspiration and reflection. Catholic saints, history, prayers and name list.